If there’s a list of people that shouldn’t be at the range or around firearms, this guy should be pretty close to the top. 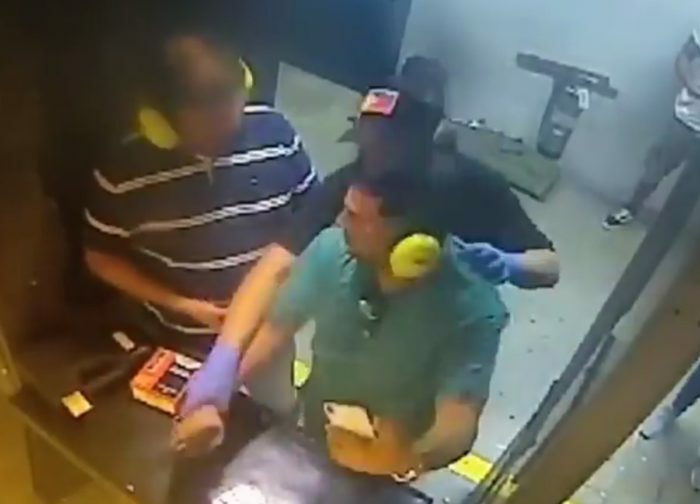 A surveillance video from an indoor range has been circulating the interwebs the last 12 hours or so, and I can’t find the source of it for the life of me. In the video, we see two people in a lane at an indoor range. 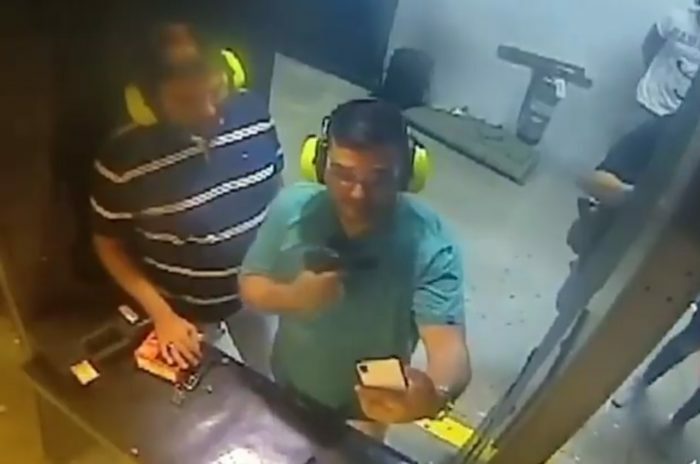 The guy in the green shirt decides it’d be fun to take a selfie while holding the gun. That first part is irresponsible, mainly because he’s pointing the gun into the lane next to him. Then, he makes the decision to pose for a picture while he points the firearm at his buddy standing right next to him. Directly in his face. THEN, we see an outstanding performance by the RSO (Range Safety Officer). This RSO moves so quickly and so precisely, the irresponsible guy in the green doesn’t even know what happened. If the above video does not display for you, click here to see it directly. Thankfully, that RSO was quick to act and prevented anything terrible from happening. Let’s hope that this man is never at a range again, and never holds a firearm again. It’s people like this that give gun owners a bad name, and these are the irresponsible people that end up getting people hurt or killed.